The first two days of work was grueling. There were so many agenda items to cover and there are a lot of missing information that it was a lot of to and fro on issues. It is to be expected since the teams met for the first time. Both parties have their own interests and goals and so we just need to take one issue at a time and work through every one of them. Cultural differences is in the way a little bit but not too much. It is the language fluency that is something most of us struggled with. I felt the Chinese had difficulties in expressing themselves in English but they sure are experts in their field. I am actually impressed with their technical knowledge of the subject matter. My mornings started with breakfast at the 24th Floor Club. I’ll tell you more about the 24th Floor later. There is a very nice view from the Club and I almost always sat at the same spot that faces the CCTV Tower. Look at the traffic jams below. There is a jam every peak hour. We took a taxi ride to the office which is quite a bit of distance from where I am staying. On a good day, the journey takes 25 minutes but mostly it is 40-45 minutes because of the traffic. 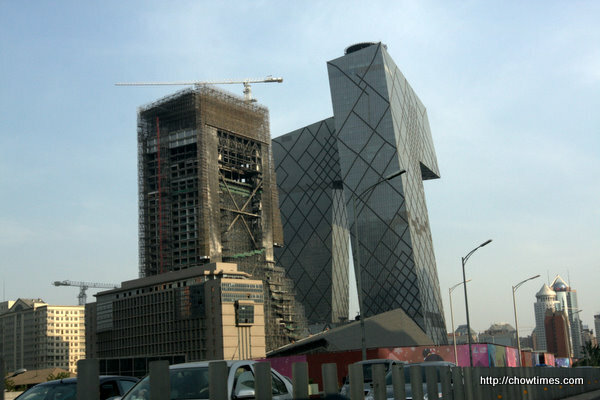 We always drive past the CCTV building everyday. See that building next to the CCTV building? Well, that whole building burnt down and they are in the process of rebuilding it. It is both sad and hilarious. You see … the building burnt down when they installed fireworks on the outside of the building for some celebration (was it the Olympics?). Something went wrong and it resulted in a fire that burned the whole building down. It must be the most expensive fireworks display in all of history. I wonder what the Project Manager in charge of the fireworks has to say when the accident happened. LOL! 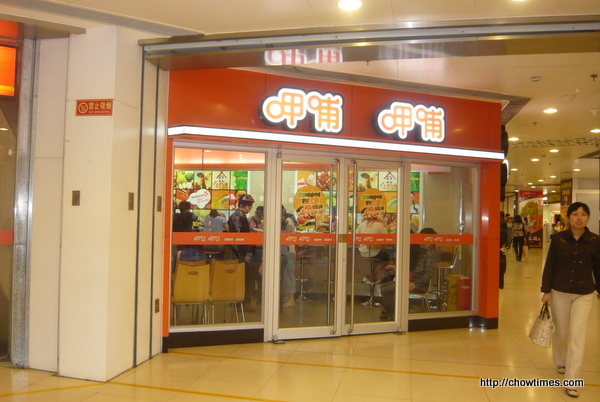 On Monday, I went to the Xiabu-Xiabu place in the Viva Shopping Complex just around the corner from my hotel. This was a delightful hot pot restaurant. Too bad they did not allow me to take pictures inside. The hot pot here are individual hotpots. You sit on a high chair along the counter. As normal, you order the ingredients, soup base and side dishes you want and they will bring it to you. Alternatively you can get their set items which they pre-pick the items if you don’t want to think too much. I ordered the pre-picked set and got the most expensive one. It is still just less then $10 Canadian. There were too much food and I simply could not finish them all. I think you will like the dipping sauce. It is sesame and they gave that to you in a packet. You can get as many as you want because they gave me another packet when they saw my dipping sauce was running low. I mix that dipping sauce with lots of cilantro and raw minced garlic. Super. The broth I got was the ma-la one (numbing and spicy). Apparently not many people drink the broth because they don’t give us spoons. I bet you will ask them for one knowing how much you like soup. It was kind of weird sitting next to strangers. The girl who sat next to me obviously can see that I am a newbie at this and show me a few things. Like controlling the heat and all. I would love to chat a lot more with her but she doesn’t speak English and my Mandarin is frustratingly hard to understand. It is like a duck talking to a chicken. That sort of thing. On the way back to the hotel, I was accosted twice by people. I guess I was in my office wear and I stood out. There was a person who tried to talk to me but I told him “I don’t understand Chinese” in English and he left me alone. Then a young couple stopped me. I told them the same thing but they spoke English! They told me they were from out of province looking for a job and is hungry. They asked me for bread at least. I told them I was sorry I can’t help. They were quite persistent but I kept walking. So the next time I go out for lunch, I dressed like the masses. I can’t remember now who recommended this place called Kung Fu. I saw a Kung Fu restaurant near the hotel and so I decided to take a 10 minute walk to it for dinner on Tuesday. 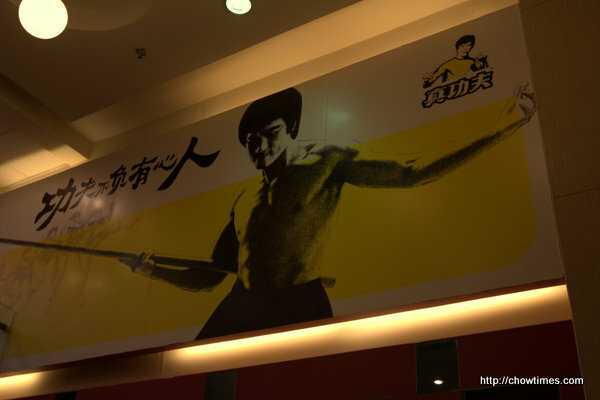 There are Bruce Lee’s logo everywhere. Hey, I wonder if someone is holding the rights to Bruce Lee’s image or brand. You know, like if the person is dead whether someone could register the brand. Anyway, the whole modus operandi of KungFu is like McDonalds. There is a counter you order off from the board, with “value meals” or individual items. There are like chicken and rice, pork and rice, etc. There are also soup and other side orders. 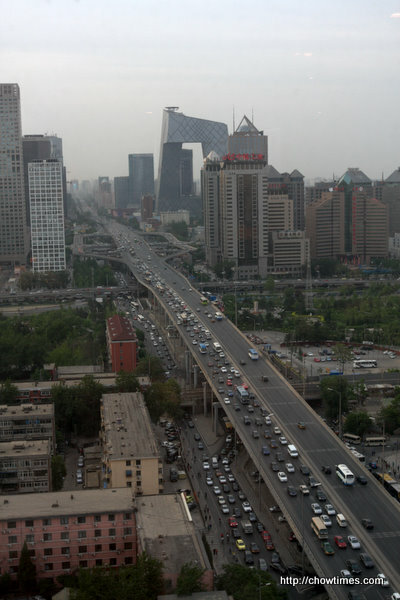 In Beijing, I find that I could get by a lot better speaking in English than in Mandarin. When I used Mandarin, I end up speaking baby Mandarin and can understand only partly of what they say. Now, if I use English, I get a certain higher level of respect and service. I think they know I am a foreigner if I speak English. Believe it or not. The above is just $4.00 Canadian. It is a complete meal — rice, meat, veggie and soup. Even though this is a fast food restaurant, they don’t speak English. A customer helped in translating what I wanted. Going by the pictures of the board, I just got the #1 item — which I figured is their Big Mac equivalent and the most popular item. 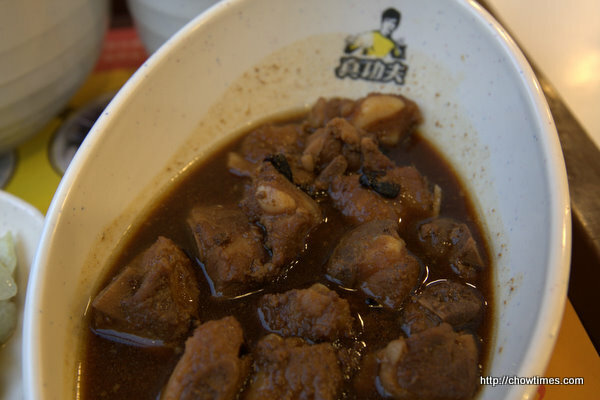 It is pork ribs with jhup. It looks like a lot of meat doesn’t it. 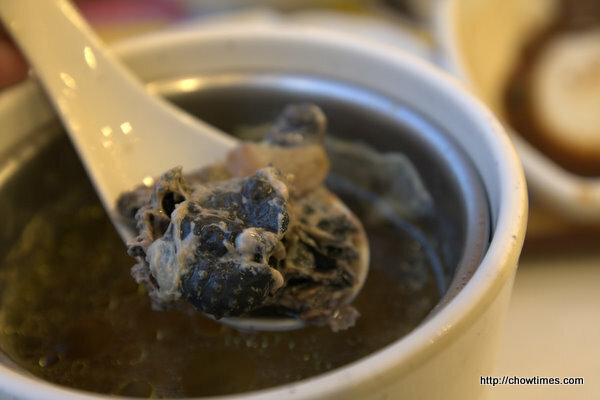 Although it is still a lot of meat and jhup, the bowl it is served in has a bulge in the middle. So, don’t think it is what it looked like. The order came with the side order above. This was nothing spectacular. I love the rice. They are steamed individually in their own container … loose grain and not sticky, just like the way we make it at home. Hi all, Suanne steams rice at home. If she is hard pressed for time she will microwave the rice. We don’t use the rice cooker anymore. Steaming rice makes perfect rice and once cooked, it stands on its ends. 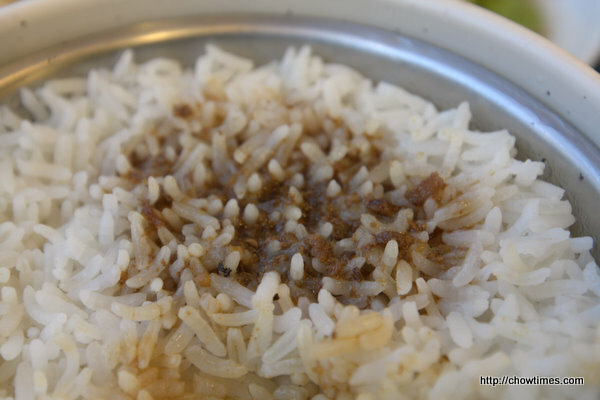 Have you ever tried steaming rice? Actually I was not too hungry as I had quite heavy lunch at work already. Our business partner brought us out for Chinese lunch everyday. Once they brought us to a really nice Sichuan restaurant in a private room complete with TVs and sofas. Too bad they did not order the really spicy stuff because our American team would find it too hot. Still the food was good. The other time, our business partner brought us to the restaurant in the building. I am impressed with their cafeteria. There is a section for the “hjap fun” type and there is a full service section where you order dishes. The food was pretty good too. So far I have not come across anything I did not like at all. Anyway, back to my jhup and rice above. Although I was not hungry, I like this so much that I finished this off. I know you will like this too. Yeah, next time when you are here, I will bring you to a Kung Fu restaurant for sure. When I told my team members that I spent $4.00 for this meal they were telling me “Oh, so you are saving the company money huh?” They can’t understand me and I don’t want to explain. I know it is crazy to stay in a $300 a night hotel and then spend $4 for dinner. But … but … but … I am in Beijing. I don’t want to eat in fancy western restaurants with wine and such. 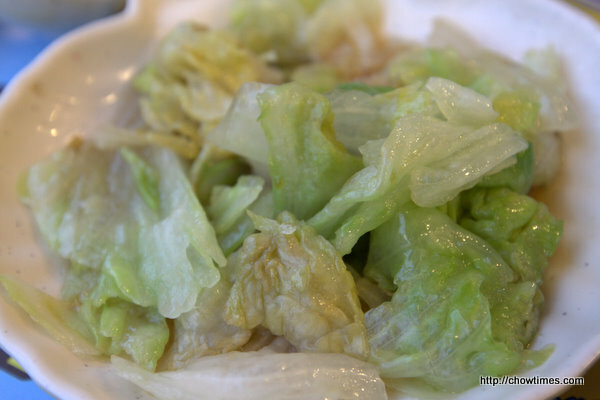 I want to eat like a Beijinger. Oh I also had a bowl of soup. Not knowing what is what, I just asked for Chicken Soup. Nice. They even use silken chicken for the soup. Isn’t it such a great deal? Just $4. Amazing! 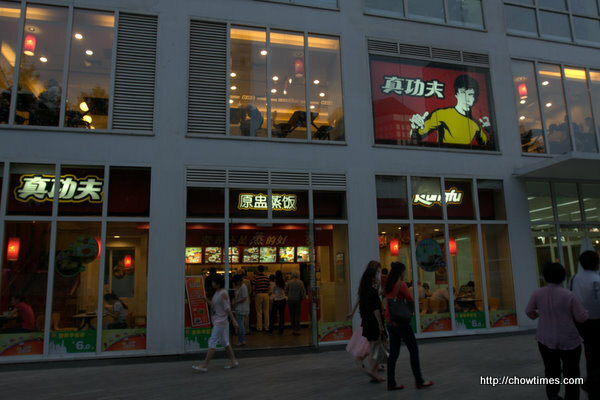 kung fu is such a wicked fast food alternative in china. Yes, yes, yes. Had KFC egg tarts in Vietnam and Taiwan. They are *really good*, in the “Portuguese” style. Were always fresh and hot, too. So i make a list of the restaurant that u can really dine out for dinner with friends an workers. Service is so good, they even provide nail polish for the waiting customers. It’s a chain hot pot restaurant. Like its environment, and it offers royal dished(from qing dynasty). Price is not bad. Another small restaurant have some creative dishes, like their curry which serves with bread and blueberry tomato salad. It’s very popular among young people, try their pizza, it’s so different and taste so good. It located at Beijing traditional Siheyuan, so the atmosphere is pretty unique and most important, the food is good. U can enjoy some simple local dishes here with low price. Ben, let’s try some good things. I wish i can go back to China right now. Yes,i think u can order half duck. 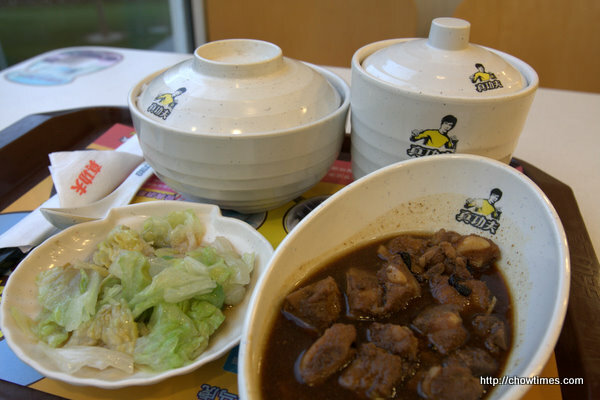 I know Quan Ju De have a set meal(maybe it just offer at Qian Men)for 2 people or 3 people. I’m not sure about Da Dong(东城区东四十条甲22号南新仓商务大厦1-2楼(东四十条桥西南), but most of the resteruant do. If u want to go somewhere for beijing’s traditional bakery, try “Dao Xiang Cun(稻香村)”, i’m sure u can find it around where u live,it’s quite popular. “Jiang Bian Cheng Wai Wu Shan Kao Quan Yu(江边城外巫山烤全鱼)” is also an awesome resteruant that u can’t miss. Their roast whole fish is the best and the price is quite reasonable even for chinese people. Dong Zhi Men Nei Da Jie no.15 might be the easier one to find. 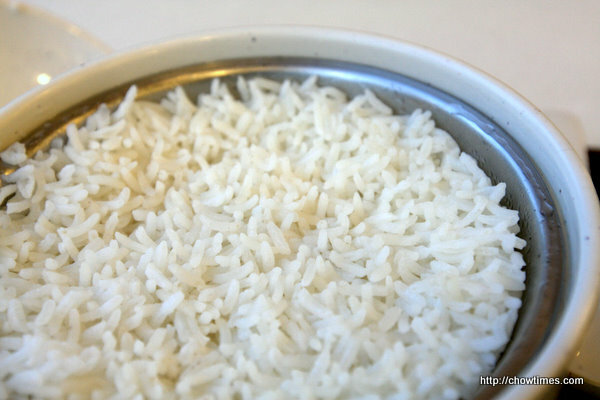 How do you cook rice in microwave? Hi Bobo, we use a microwave rice cooker to cook the rice in the microwave. I got mine from a dollar store. Just follow the instruction according to the cooker on the number of cup of rice and water requirement and microwave time. There are more scams than there are space on here to discuss. I’ve seen people knowingly jump in front of an oncoming car. I’ve seen ladies borrow a child to beg. The child would act sad and cry on cue. It’s funny when the the lady tells the kid to take a break. He would stop crying and rest and then continue later. I think someone already mention there is fake everything from food(sea cucumber, eggs, beef) there certainly is a lot of fake people. It’s a different culture and life. Hi timetochow: I think you hit the nail on the head when you said “It’s a different culture and life”. It is different. It is not one is better than another. When I was younger, I used to ask my parents/relatives for small change if I see seniors or children begging on the streets. However, nowadays I don’t really dare doing that anymore. I know these are organizations forcing these people to beg (and would even break their legs and arms just for the sake of looking for more sympathy), but once you bring out the money, you yourself are at risk. Getting swarmed by mobs is the less serious case. The worst is maybe they know that you have money and will rob you. Hmm… I acknowledge both of your points of view. What were your instincts about the pair, Ben? I travel often to Asia and know both ‘swarming’ and hunger are real problems … If they were truthful, might it have been possible to take them to a restaurant? I think what bothered me was that you made light of their situation with the line about dressing like the masses. Hi Moi: It was a judgment call on my part that all of three incidents that happened to me was just a ruse. Two of the times the pairs spoke perfect English. For someone who speaks English in Beijing, I don’t think they need to go hungry. On the way to work today, one of my team member (white American) told me about him being approached too. Anyway, all these were clear cases of someone who is out to beg for easy money. If they are indeed in need, you can rest assure that I will go out of my way to help them. No further words can explain more … I just wish you were here with me and assess it for yourself. Ben. Thanks for your reply, Ben. Details make a difference — ‘Perfect English’ would seem to be a giveaway. I trust your judgement. Moi Just how much do you know about modern China? ?,Ben is correct,If you make that mistake you will be swamped by mobs of people.Ben is in China with different rules.In Beijing 3 years ago,One of my companions made that mistake and We got mobbed by 20-25 people.Beggars are in cahoots with the local PSB and generally split the money with the PSB.When in Rome do as the Romans do. “Then a young couple stopped me. I told them the same thing but they spoke English! They told me they were from out of province looking for a job and is hungry. They asked me for bread at least. I told them I was sorry I can’t help. They were quite persistent but I kept walking. As you went on to your next meal, did it ever occur to you that they were really hungry or only about how to evade such requests? Love the CCTV building. It’s ao striking and I only drove close by it once so I don’t have a photo. It is a funny disparity between your hotel price and your meals when. Your coworkers need to appreciate that food is cheap there and it doesn’t mean it’s crappy. Lucky for you since it’s a business trip you will see the range from “real” food in your own adventures and fancy stuff with the company. I didn’t know that was a restaurant the, Kung fu logo! Assumed it was clothing or something and ignored the advertisement I saw. Darn, regretting that now! You can find the Kung Fu restaurants all over, even in ToySan. My husband is such a Bruce Lee fan he had to have a souvenir and “borrowed” one of their spoons. We have been to Beijing several times but always with a tour group. Places where there’s a lengthy line up like the National Museum or inside Mao’s Mausoleum aren’t usually on a tour itinerary. Will have to do it on our own next time. I got by OK in Chouyang dist. speaking English and seeing this Kung Fu Restaurant could you tell where is it located? Would like to visit it when back in Beijing again. 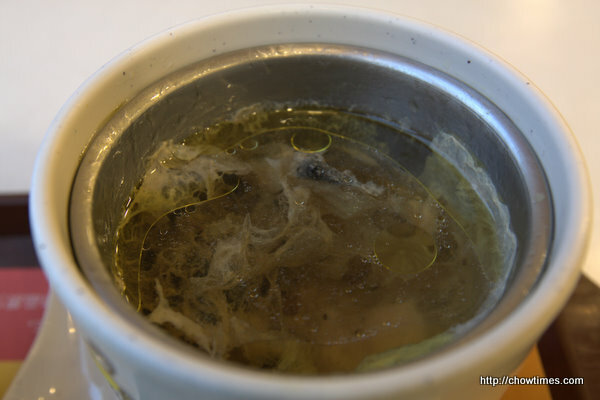 I also would like to visit that hotpot restaurant it seem interesting than the one I had in San Li Tung Snow which was kind of run down looking and not that great in food. Good for you, Ben, in eating what you want, in spite of what your team thinks. It’s a lot more fun and a more authentic culinary experience to eat like the locals do, even when it’s in a fast food joint. It’s kind of like someone coming to Canada and eating at a Tim Horton’s. You wouldn’t want to eat every meal there, but it’s part of experiencing the local culture.